Is there anything Gary Barlow can’t turn his hand to? Not content with his duties as an X Factor judge, the multi-talented singer is now penning a West End musical! 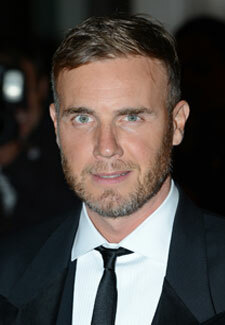 Gary, 42 will draw inspiration from his time with Take That and their rise to stardom, although it is believed he is writing brand new original songs for the project. In a bid to get the creative juices flowing, Gary has been staying in LA, brainstorming ideas for the show with his business partner Eliot Kennedy, who has written hits for the likes of The Spice Girls, Lulu and Bryan Adams. Andrew Lloyd Webber eat your heart out!